Hello, and welcome to Bark Busters Home Dog Training Grimsby and Scunthorpe. 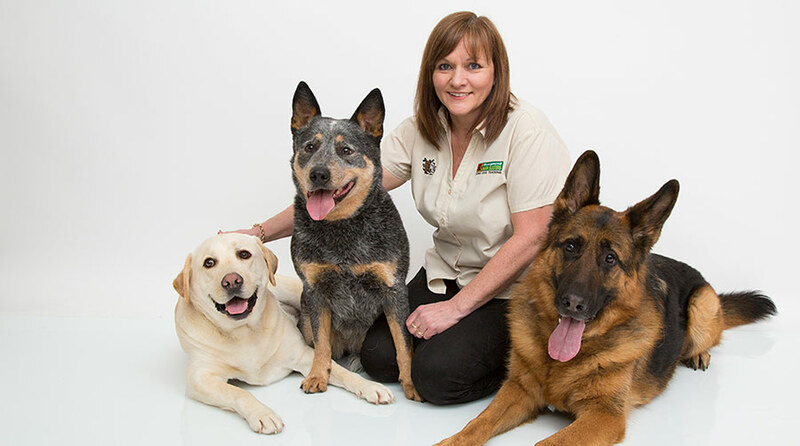 My name is Linda and I am delighted to work in your area as your local expert in dog behaviour. If you tune in to BBC Radio Humberside or Minster FM, you may have heard me talking about dog behaviour issues, and offering advice and guidance on various issues. I am very proud of my 10+ years as a Bark Buster Therapist. I love my job that enables me to go out and work with owners and their dogs every day, and to change their relationship by introducing our straightforward, gentle and effective method of communication. My job satisfaction comes from seeing the smile on owners faces when they realise that their pet is able to learn new behaviours, and that they themselves can teach them how to do it. Once I have visited you in your home and we have discussed the issues that are causing you problems, I will show you a new way of communicating with your dog. We will practise the techniques and you'll receive a tailored, written programme and Support Guarantee. The Support Guarantee gives you peace of mind and I will return to support you free of charge for the duration of your programme. During my career with Bark Busters, I have dealt with jumping up, pulling on the lead, aggression, poor recall, and almost any other behavioural problem that you could imagine. Most often we think that our dogs are not listening and not taking things on board, when in fact it is mostly down to how we communicate and inconsistency, to the point that they don't really understand what is expected of them. Together we will address this as I teach you how to communicate consistently in a way he can understand. Having been an owner for many years, I understand completely the problems you face and the frustration caused when unwanted, embarrassing behaviours develop, that you can’t seem to stop! It was two boxers that brought me to my current role as a Bark Busters trainer. William and Holly between them demonstrated most of the behaviours that we don’t want from our pets. By learning to communicate with them, and to understand life from their point of view, I was able to regain control. Unfortunately, William passed away very young from a heart condition. But Holly remained with us for many years. 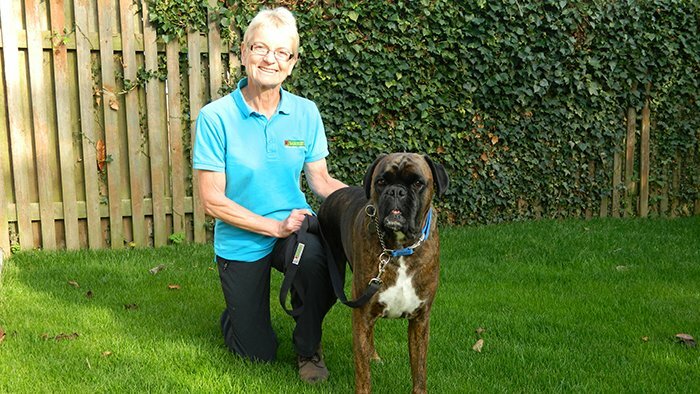 Those two taught me two things… how much I wanted to help owners overcome their dog's behavioural problems….and how much I wanted to help boxers live a long and happy life in good homes. For many years now, alongside my work as a behaviour therapist, I have been doing charity work for Boxer Rescue Northern England, and Boxer Friends Spain. This includes advice and guidance on their forums, home checks, attending fun days, and raising money through my other passion – running. This year I will be running the London Marathon in aid of Boxer Friends Spain. I am also the UK Head Office Trainer for Bark Buster therapists. I, and my current dog, Oliver, train all new therapists coming into to Bark Busters. I am therefore especially confident that the skills I use to train our therapists will enable me to train you to train your pet. Whatever behaviour problems you are experiencing, please give me a call. I will be delighted to visit you and help you to resolve the issues so that you can begin to lead a happy and harmonious life with your four-legged friend. Linda was excellent, so friendly and professional. We could not believe the difference in Duke as soon as Linda began the training. We are so very impressed with Linda and are so glad we chose your company to help with Duke. Highly recommended.